SOUTH HAVEN, Michigan – Gingerman Raceway is a 2.14-mile circuit that AUTOMOBILE magazine has used in the past for All Stars testing, so this reporter can tell you authoritatively that the tight, technical third-gear track separates Colin Chapman-style sports cars from the ones that are all ate up with motor. 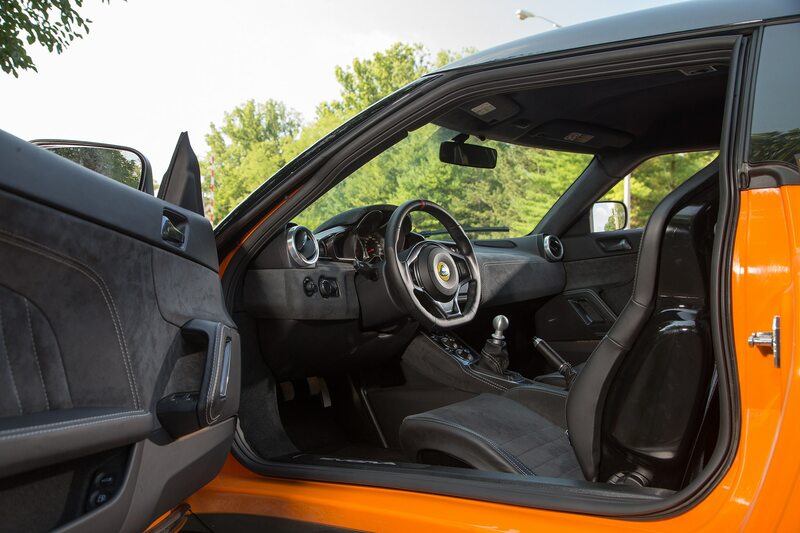 That is, even Ferraris and Porsche 911s feel just a bit too oversized, whereas the cars that fit in between, say, the Miata and the Boxster/Cayman feel just about right. You can work all day trying to get to 6/10ths of the limits of the former and not have half the fun you’d have in the latter. 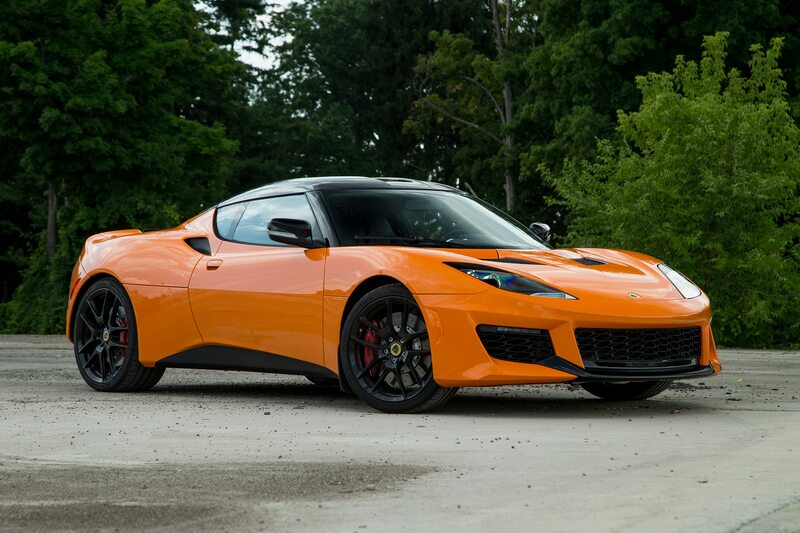 The model year 2017 Lotus Evora 400 “will meet all U.S. specification regulations,” says CEO Jean-Marc Gales. Our bumper-height regulations helped design the 400’s revised front-end, and there are now front side-impact airbags, built into the outside bolsters of the Sparco seats. 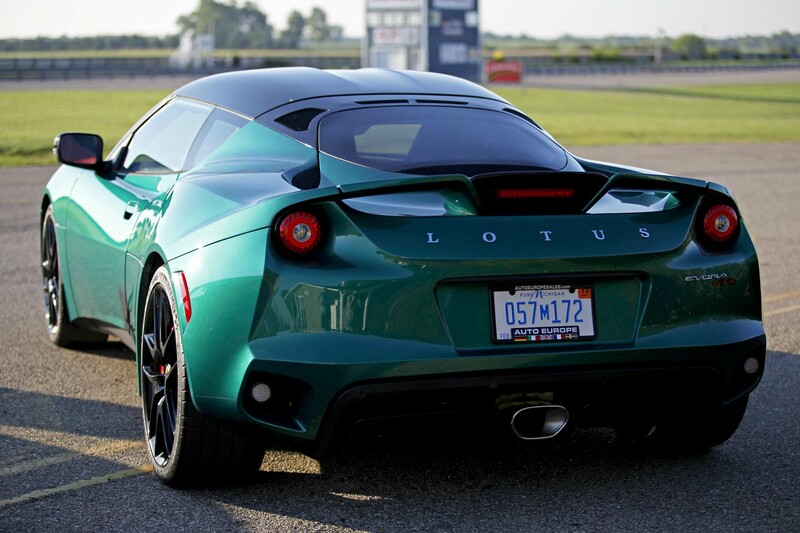 The redesign also allowed Lotus to double downforce from 35 pounds to 71 pounds — 27 in the front and 44 pounds in the rear. The first of 250 pre-ordered cars, about half ordered with the six-speed manual (an exceptional three-pedal take rate, these days) and half with the six-speed automatic, will be delivered to U.S. customers by the end of August. Base price is $93,785 with destination and handling. 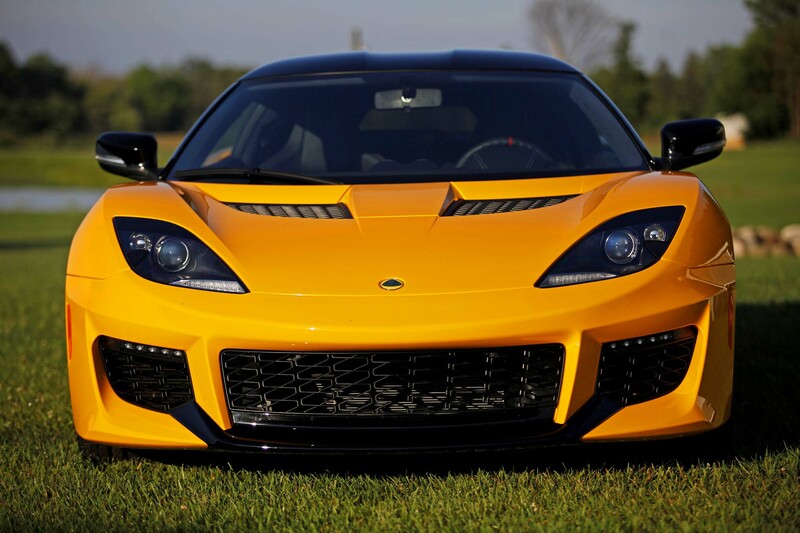 Owned by Malaysian-based Proton, Lotus plans to bring a new, U.S.-spec protected Elise back by the next decade, Gales says. The company has ruled out larger cars such as a sedan, though a Lotus sport/utility is being studied. There has been no decision on whether to go forward with such a project, he says. 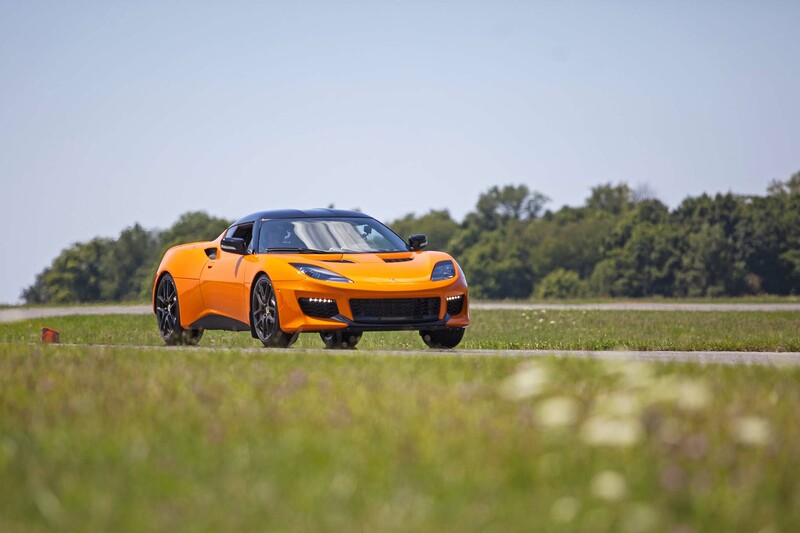 What’s not news is that the 2017 Lotus Evora 400 is perfectly suited to Gingerman, or perhaps Gingerman is perfectly suited to it. 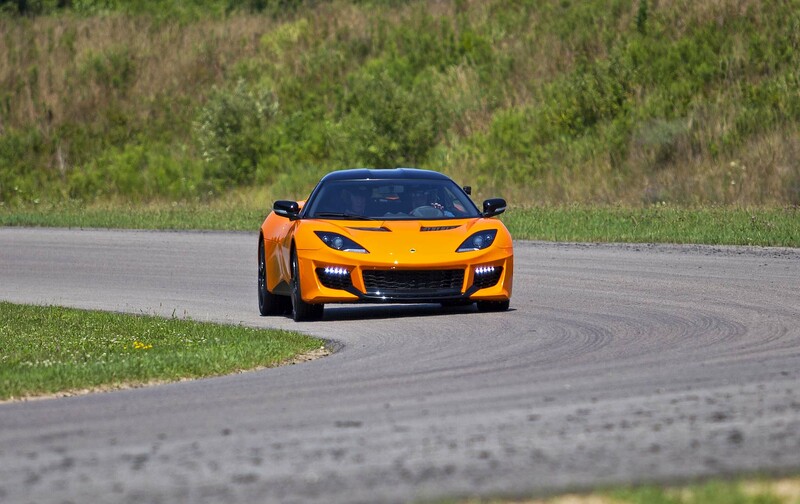 The Southwestern Michigan circuit is similar to Lotus’ test track at its Hethel, England,assembly plant, where the 400 completes a lap a full seven-seconds quicker than the last Evora, the 276-horsepower version imported here through the 2014 model year (Lotus has sold only track-legal cars since). 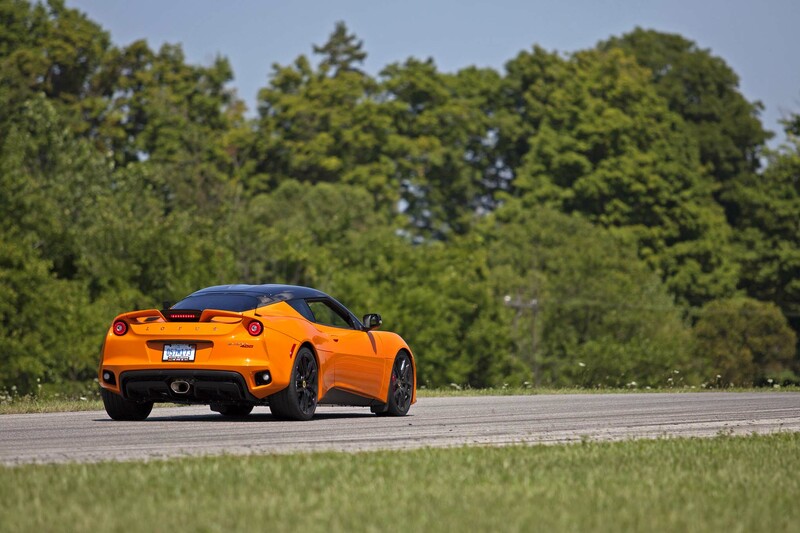 Around Gingerman, the Evora 400 feels perfectly natural, whether in “Track” or all-nannies-off mode. Race mode, in fact, is close to stability control-off, with just a bit of intervention at the raw edges – a point which Your Humble Servant thankfully did not reach. 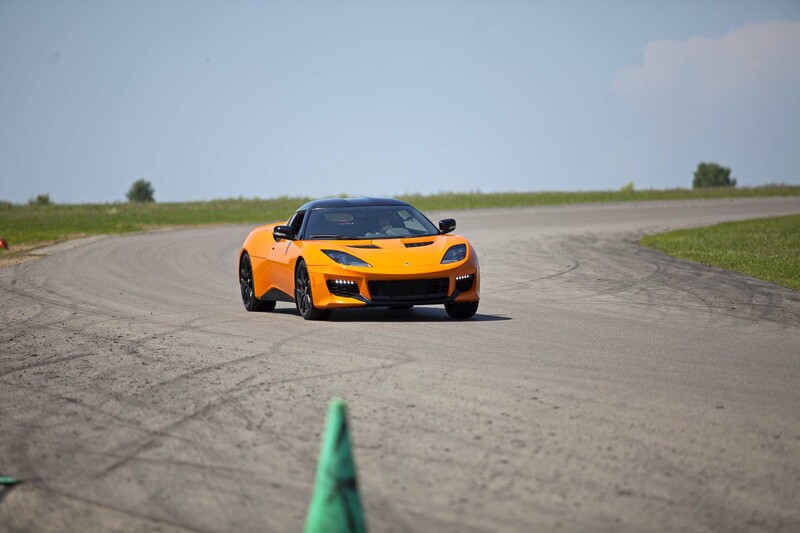 The car turns in quickly with some compliance, takes a set, and claws down on the pavement, but not so much that you can’t make certain adjustments with the wheel, throttle, and excellent brakes, if/when necessary. 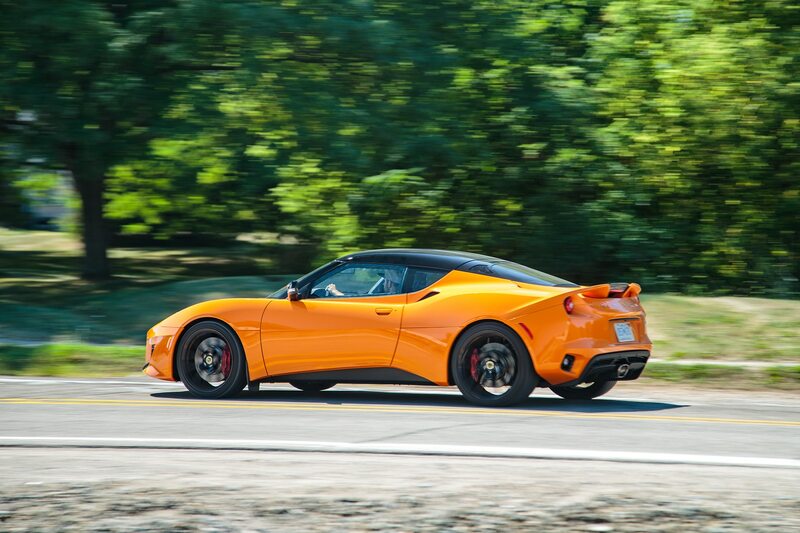 The supercharged Toyota V-6, rated 400 horsepower and 302 pound-feet, provides plenty of forward momentum, though it isn’t that push-you-into-your-seat kind of kick that some competitors provide, often as a way to distract you from all the understeer managed by ridiculously wide, grippy tires. 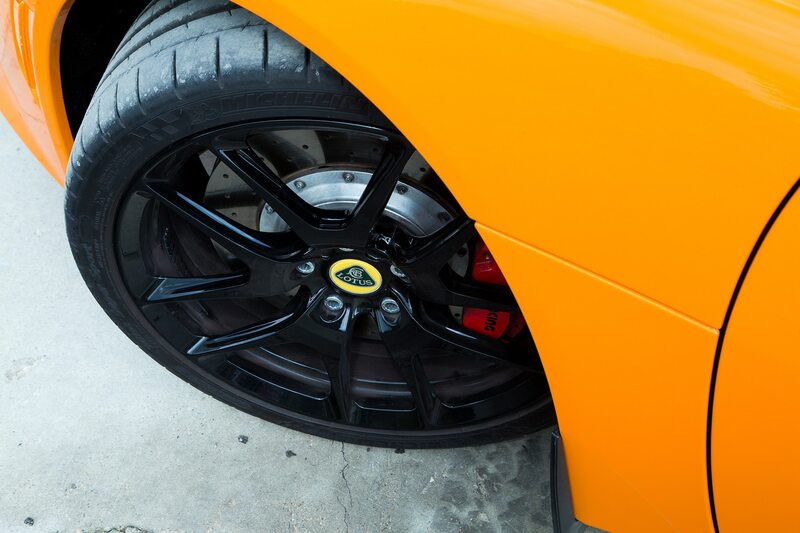 Through 19-inch front and 20-inch rear tires, this car transmits everything through the suspension, steering, and brakes, and understeer is minimal. 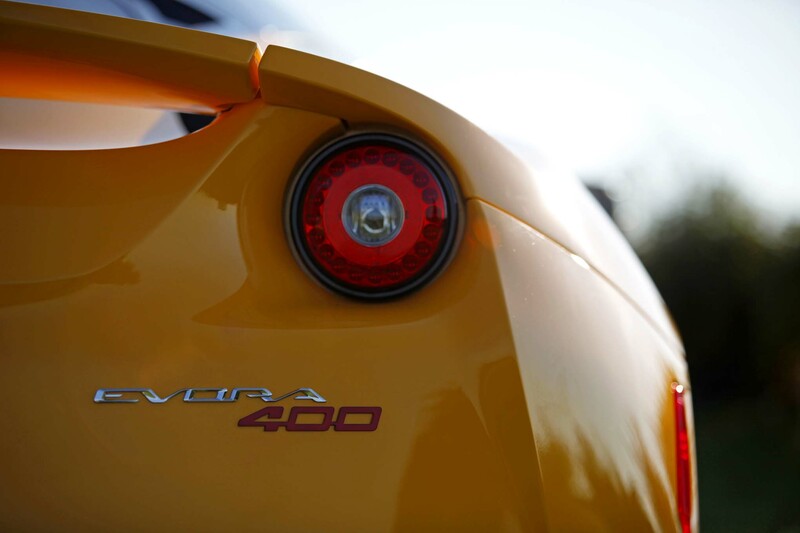 The excellent power-to-weight ratio is only part of the system, not an end to a means. 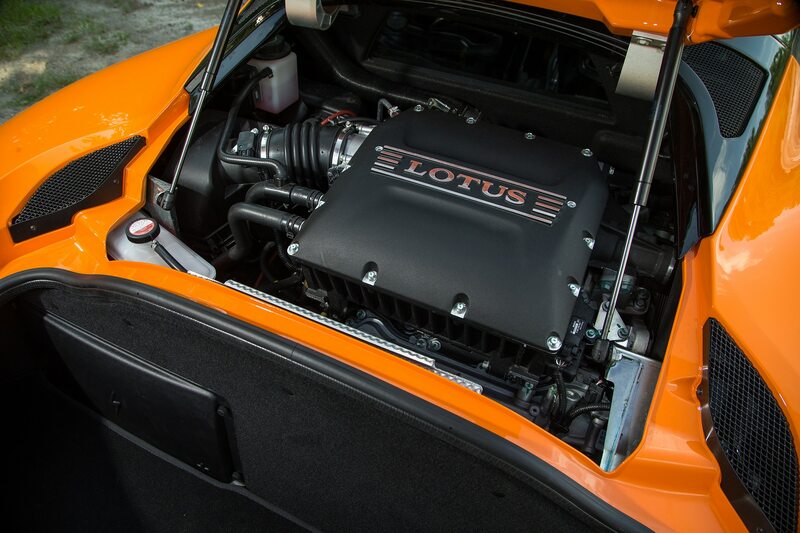 The revised engine, which employs a Roots-type Edelbrock water-to-air-cooled supercharger, has a wider torque band peaking at 3,500 rpm and hanging on all the way up to 6,500 rpm. 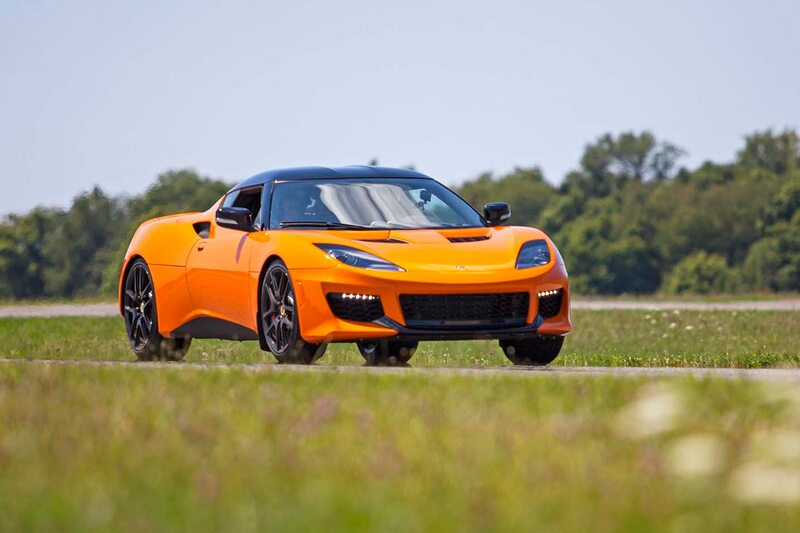 And this is a compliment, truly: The Lotus Evora 400 handles like a Miata hardtop for well-heeled adults. 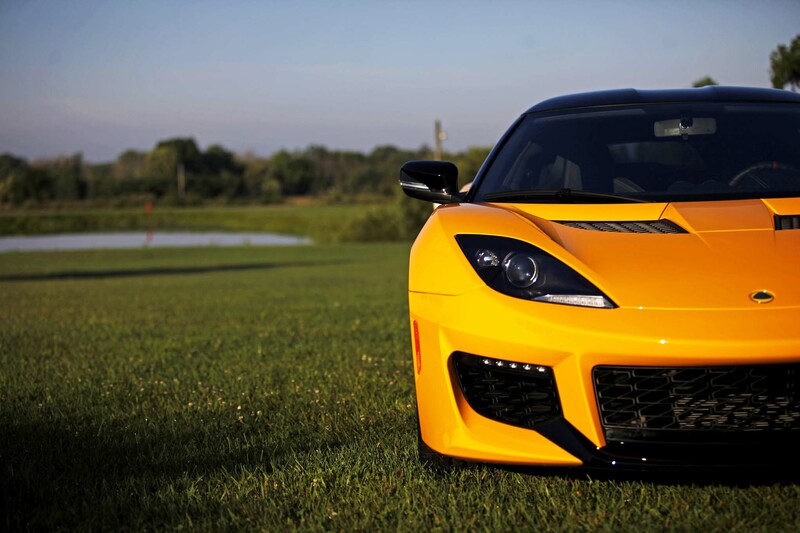 No surprise when you consider that the Mazda was designed from the get-go as an affordable and reliable Lotus Elan. One other notable connection between the Lotus Evora 400 and the Mazda MX-5 is that both get-in-and-drive cars – there is no driver-adjustable electronically controlled damper setting. The “Sport” and “Race” buttons on the dash do hike up the throttle response, but mostly they regulate the level of electronic stability control, which is its highest in the “Drive” (normal) mode. The car comes nicely dialed in from the factory. “We don’t give you 25 settings to choose from. We give you the right one,” Gales says. Before tracking the car, I had a few miles on the straight and crumbly country roads east of the racetrack. 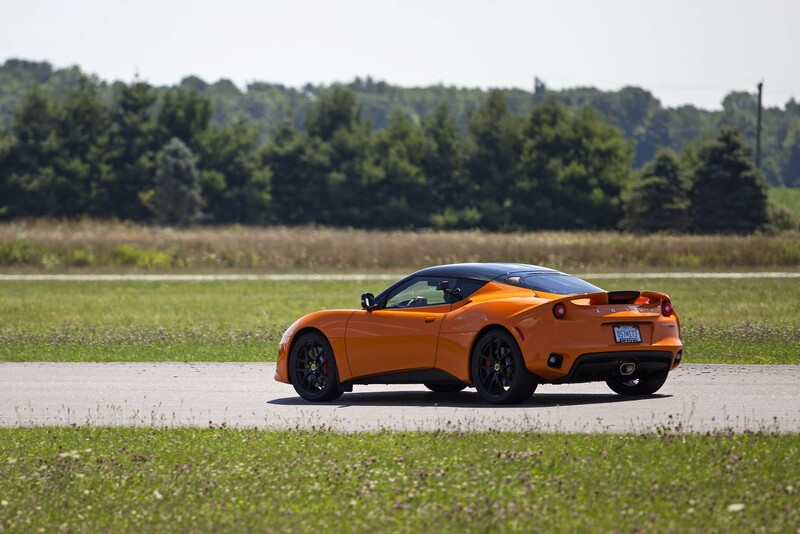 The Lotus Evora 400 is firm, but not at all harsh. It has the sort of ride-handling balance, without giving up cornering acumen, we used to attribute to the BMW 3 Series. 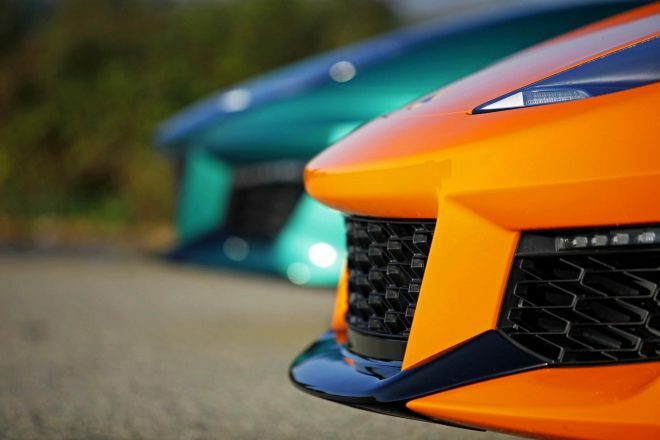 The hydraulic power steering is heavy at slow speeds; at speed, however, it feels light and easy, without any loss of precision, feel, or feedback, whether on the track or the road. 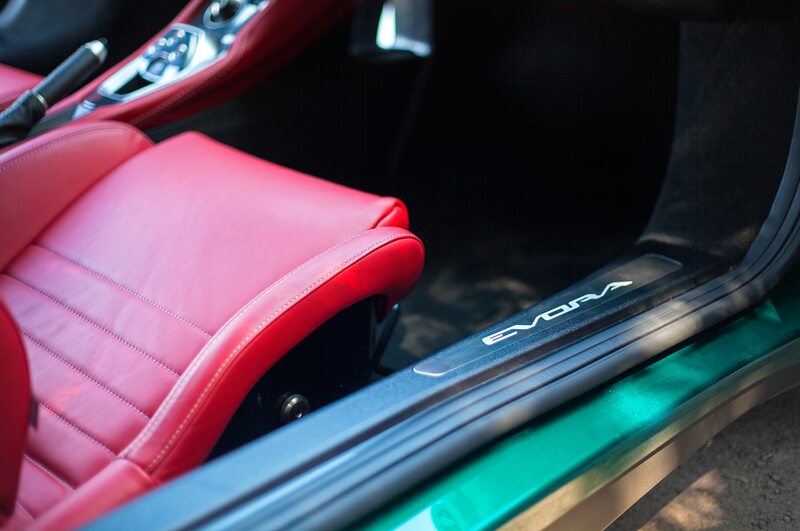 It’s the sort of steering that’s so good, you don’t think about it while you’re using it. 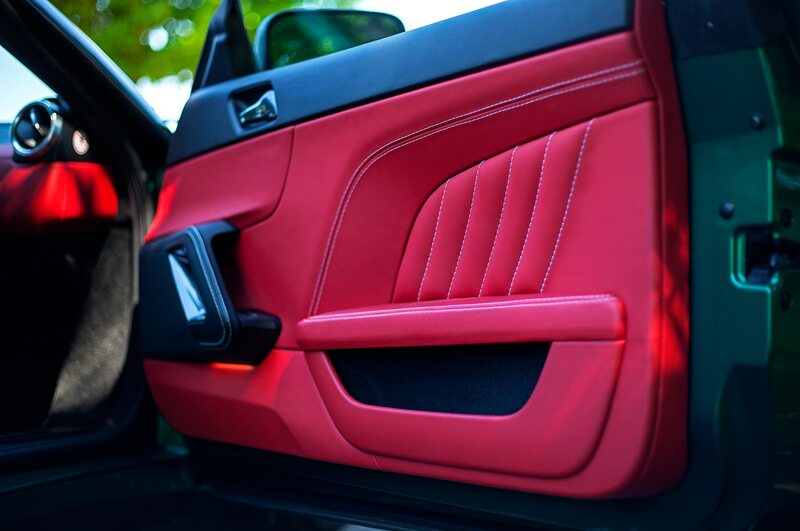 The interior was expertly put-together, with supple optional leather (Alcantara also is available). 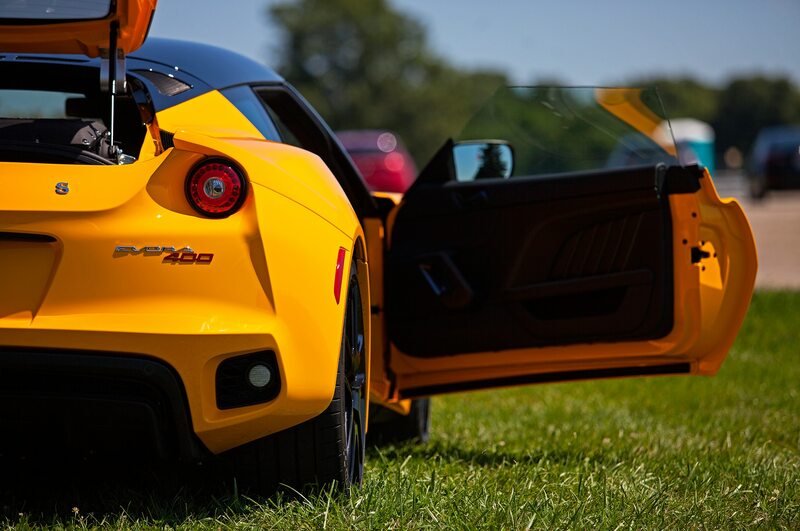 It’s not quiet, especially when you squeeze the throttle pedal, but not too loud for this sort of car, either. 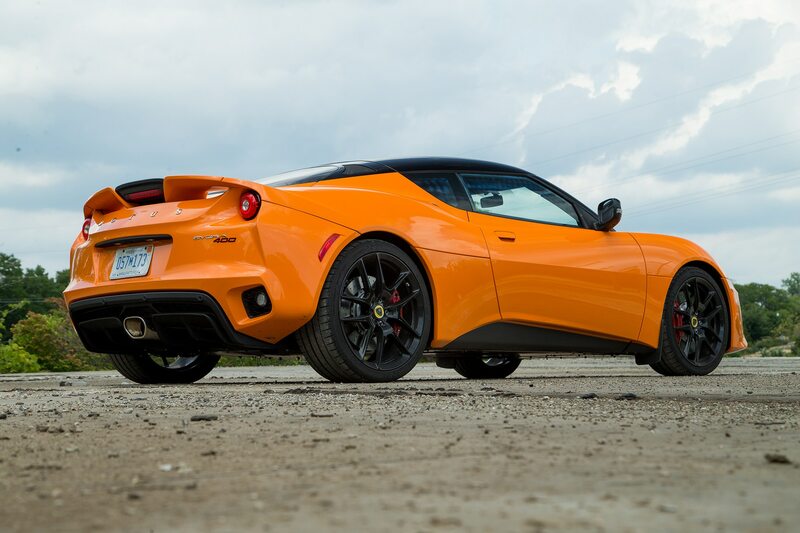 Based on the two cars I drove, Porsche has nothing on Lotus in terms of quality, luxury, or style. 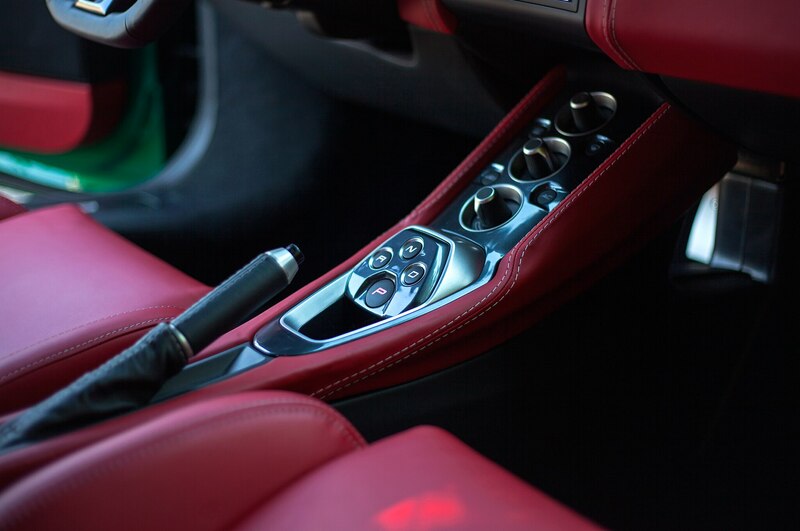 My one complaint in the on road tester, with the six-speed automatic and paddle shifters, is that the gear indicator is hidden by the right side of the steering wheel rim, which makes it hard to keep track of your present gear. Swapping it with the small, equal-size tire pressure gauge on the other side, or better, putting a digital readout in the tachometer (the dial numbers/hashmarks are now white, not red) would have worked. 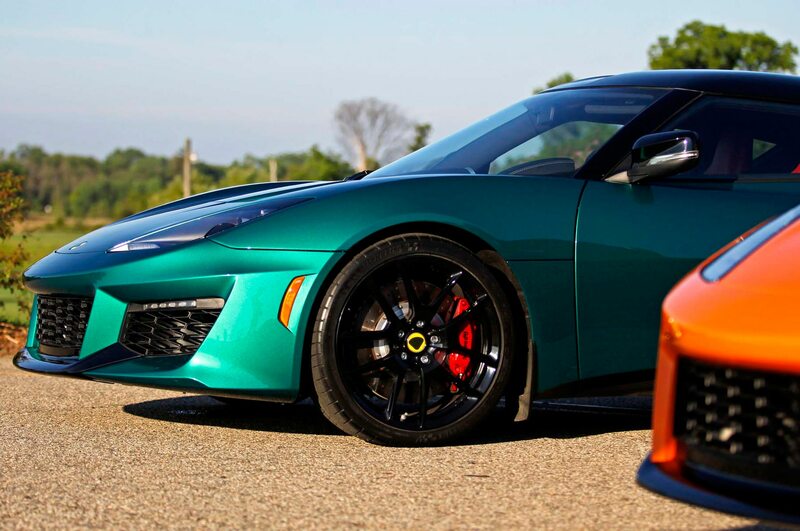 On the plus side, the Evora redesign includes smaller doorsills, which are now 2.2-inches lower and 1.7-inches narrower. It is now a much easier car for anyone older than 18 to get in and out. 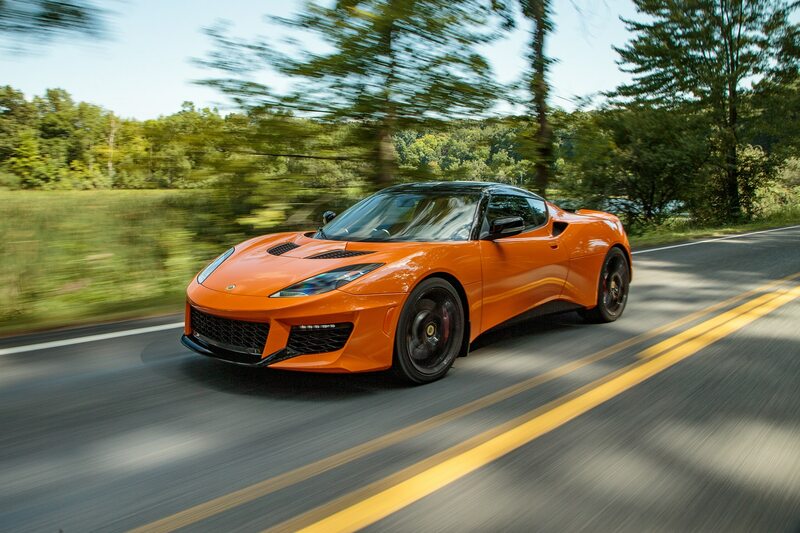 Gales says that the Evora 400’s bonded aluminum chassis’ stiffness is equal to that of a Mercedes-Benz C-Class. Body panels are composite, and the only addition to the U.S.-spec car versus the Euro-spec car is that we get side-impact bars in the new thinner (matching the sills), lighter doors. 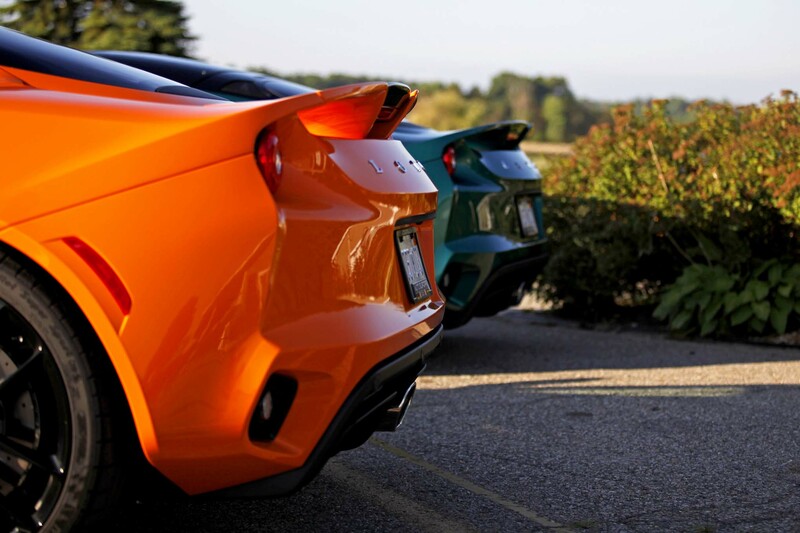 These add 29 pounds to the Euro car, for a mass of 3,153 pounds for the manual and 3,179 pounds with the automatic. 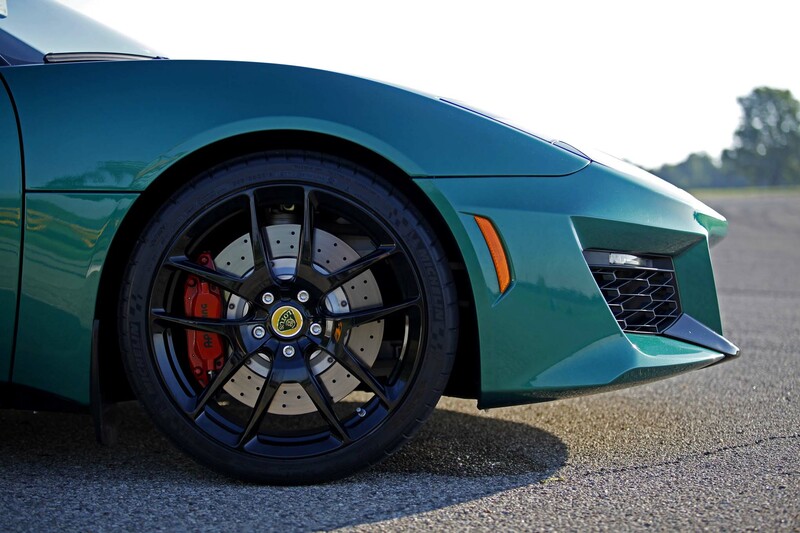 In the tradition of Colin Chapman (and Porsche), there are extra-cost options to add lightness. 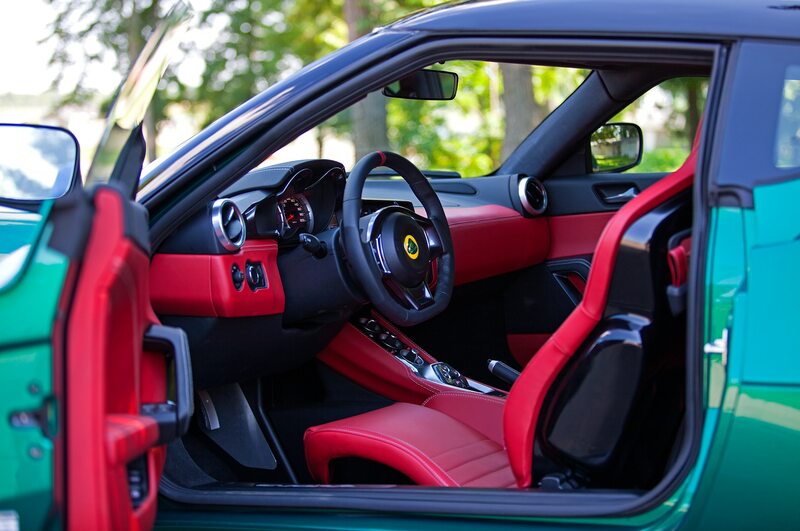 The Carbon Pack, featuring carbon-fiber roof panel, front splitter, rear wing center, rear diffuser finisher, front access panel and wing mirror caps sheds 11 pounds, while adding $10,000 to your Monroney. 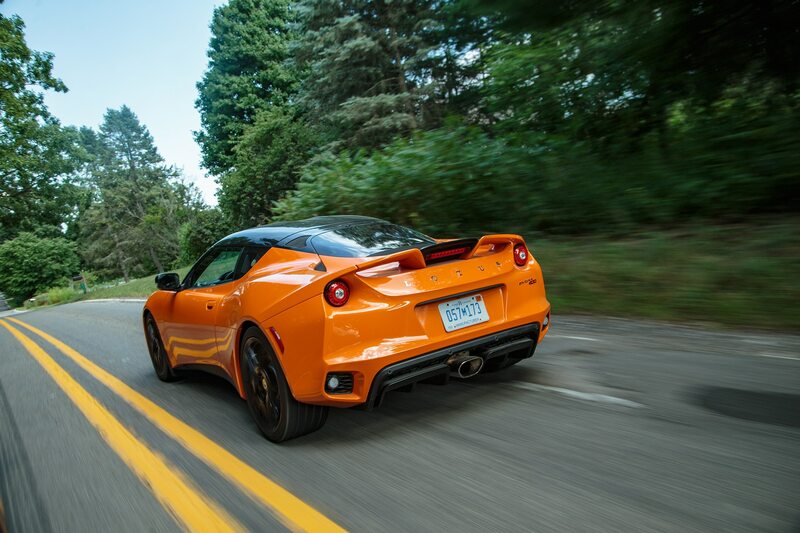 A titanium sport exhaust subtracts 22 pounds and adds $8,000, while a lithium-ion battery also loses 22 pounds while gaining $8,000 to the bottom line. Both rear-seat and air conditioning deletes are free. Weight-adding standard equipment upgrades mostly were for quality and reliability: A gearbox cooler to handle hotter climates and a Torsen-type limited-slip differential, which add nearly seven pounds. 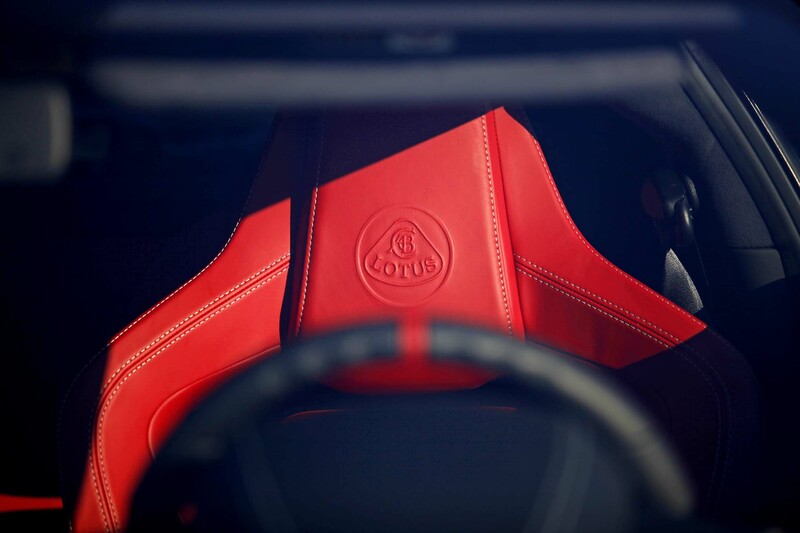 Oh, and there’s a single rear cupholder, adding 1 kilogram, or about 2.2 pounds. “We didn’t take the decision lightly,” Gales says. 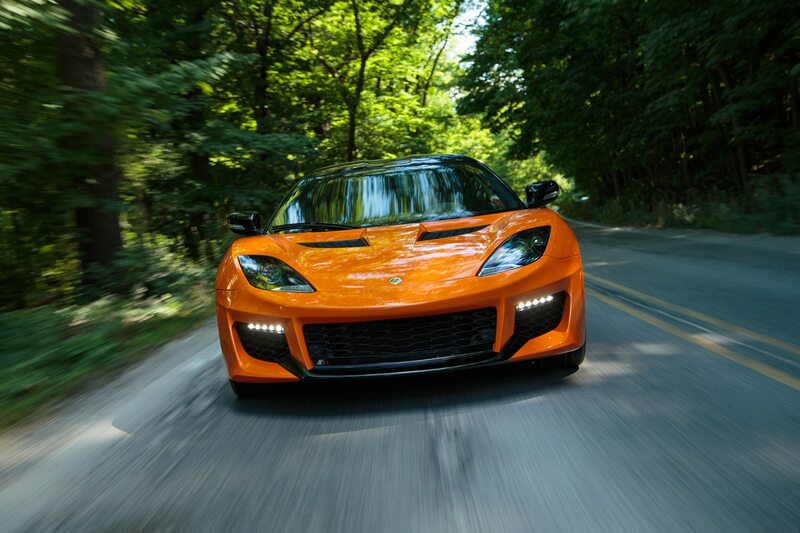 Yes, the United States remains the biggest market for sports cars. 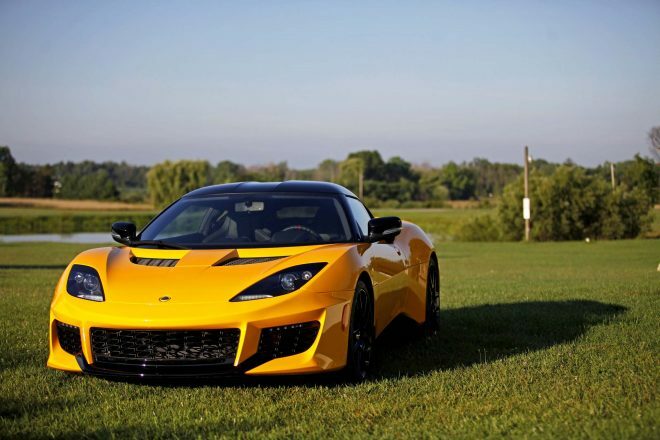 Lotus’ next biggest markets are Japan, the U.K., Germany and France, while in China, it might sell three cars in a year. 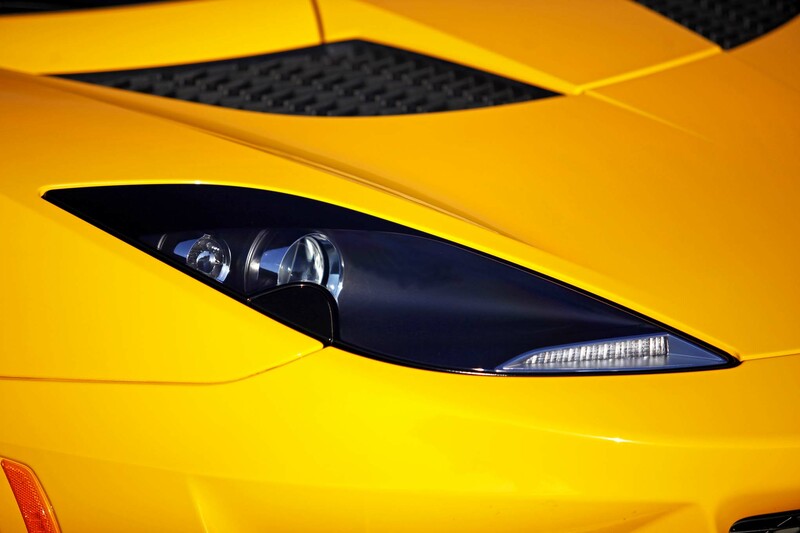 The world’s biggest auto market apparently hasn’t discovered sports cars unless they’re Ferraris or Lamborghinis. 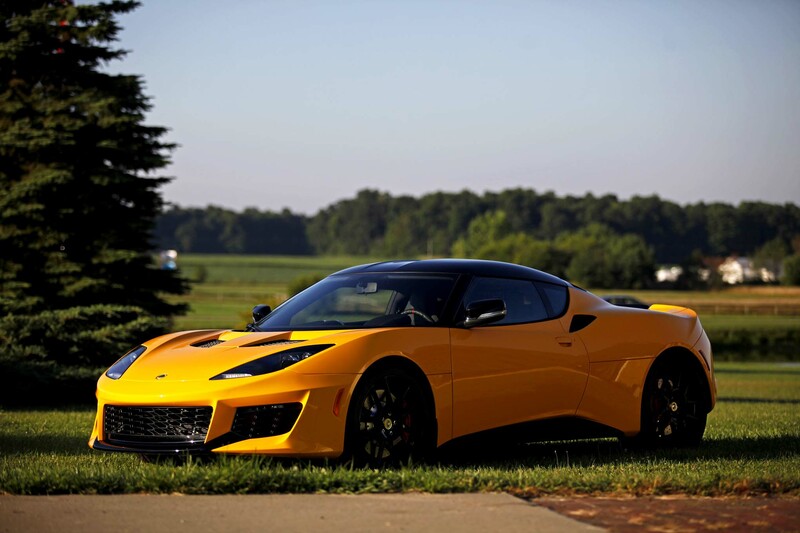 If Lotus can quickly make the world’s largest sports car market its largest market, again, it will mark a quick turnaround from the travails of the past decade. It must overcome recent memories of the Dany Behar spending debacle, the ill-advised re-entry into Formula 1 and even into IndyCar, and the fight over the Lotus-F1 naming rights. Forget all that and drive the car. 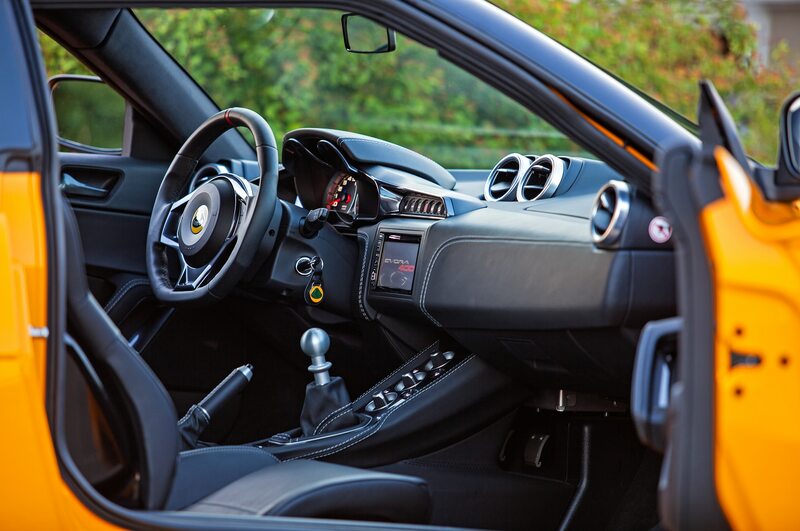 It is good, it is light, and it’s the sort of modern car that Colin Chapman (no angel, himself) would want to wear the Lotus badge. 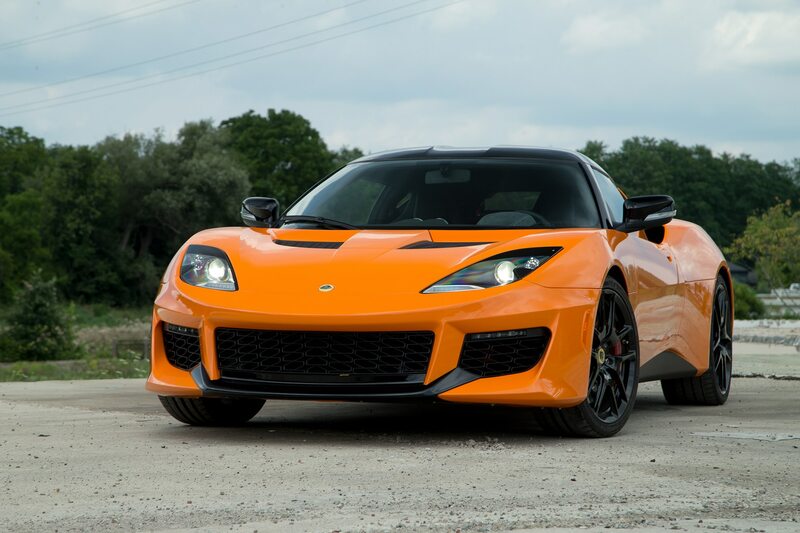 It’s a very good thing for enthusiasts that Lotus is back. L x W x H: 172.6 x 72.6 x 48.4 in.